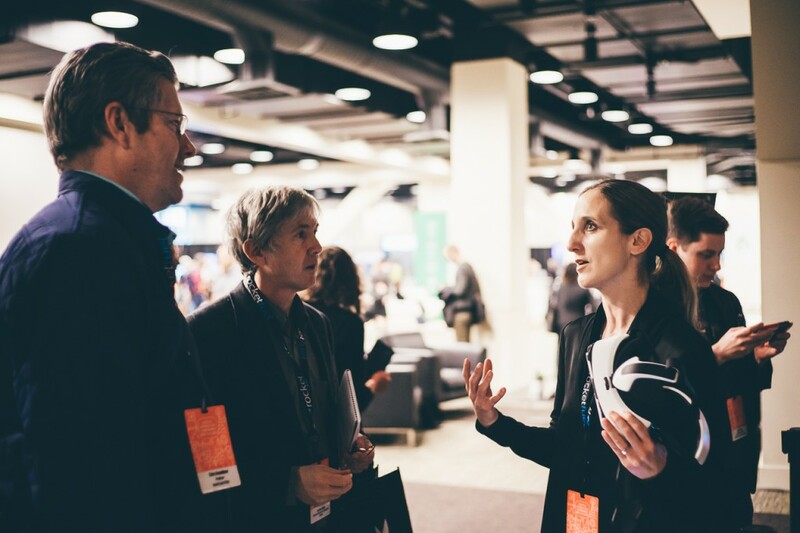 As Seattle rapidly establishes its position as a hotbed for cutting-edge technology and innovative marketing, the Seattle Interactive Conference provides a rare chance to gather the industry’s most exciting influencers to roll up their sleeves and make long-lasting connections across the community. This year the 8ninths team showcased groundbreaking new Virtual Reality technology including the HTC Vive, Samsung Gear VR and Oculus Rift systems to throngs of VR newcomers, enthusiasts and developers. From fully-immersive 360° video tours over Icelandic landscapes on the Gear VR to shimmering 3D paintings on the HTC Vive, the response was overwhelmingly positive. As many of the curious attendees experienced VR for the first time, the atmosphere crackled with ideas about how this exciting new technology could disrupt their industry. Digital trendsetters—including The Oatmeal’s Matthew Inman—were instantly hooked on Virtual Reality’s potential to redefine the way they share meaningful stories within an entirely new medium. Thanks to the talented artists at SIC2015 for their Tiltbrush wizardry on the HTC Vive.